The 23-year-old model Kendall Jenner, who has a sister named Kylie and three half-sisters, Khloe, Kourtney and Kim Kardashian, attends the Revolve Party at Coachella Valley Music and Arts Festival in Indio. The 23-year-old model Kendall Jenner, who was ranked #16 on Forbes’ list of top earning models, in a brown leather trench coat shops at the Topanga Canyon Mall in Woodland Hills. The 23-year-old model Kendall Jenner attends the Times Square Edition Premiere Hotel opening in NYC. The 23-year-old model Kendall Jenner, who has a sister named Kylie and three half-sisters, Khloe, Kourtney and Kim Kardashian, in a brown leather jacket heads out from the family studio in LA. The 23-year-old model Kendall Jenner in a black blazer arrives at Penn train station in New York. The 23-year-old model Kendall Jenner, who was ranked #16 on Forbes’ list of top earning models, in a zebra print pants leaves the Mercer Hotel in NYC. 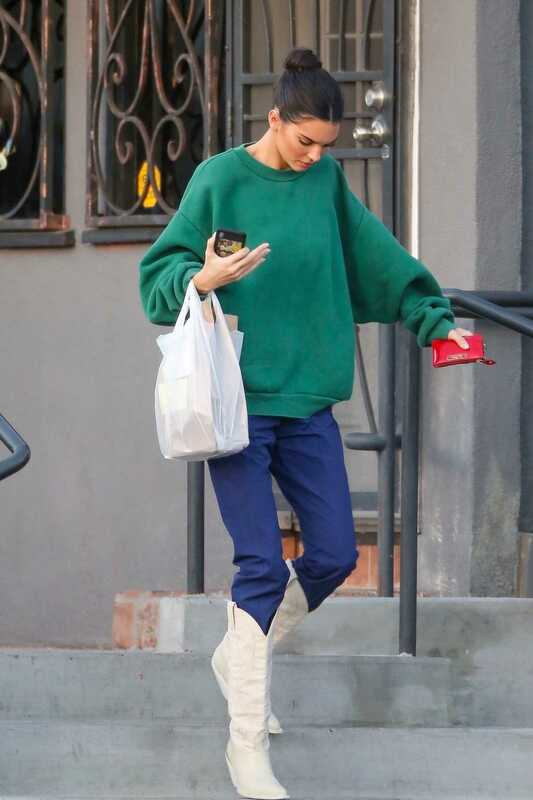 The 23-year-old model Kendall Jenner in a green sweatshirt arrives at the Milk Studio in Los Angeles. The 23-year-old model Kendall Jenner in a black puffer coat was seen out in New York City. The 23-year-old model Kendall Jenner, who has a sister named Kylie and three half-sisters, Khloe, Kourtney and Kim Kardashian, in a white T-shirt was seen out in Los Angeles. The 23-year-old model Kendall Jenner stops by Alfred’s Cafe in West Hollywood.